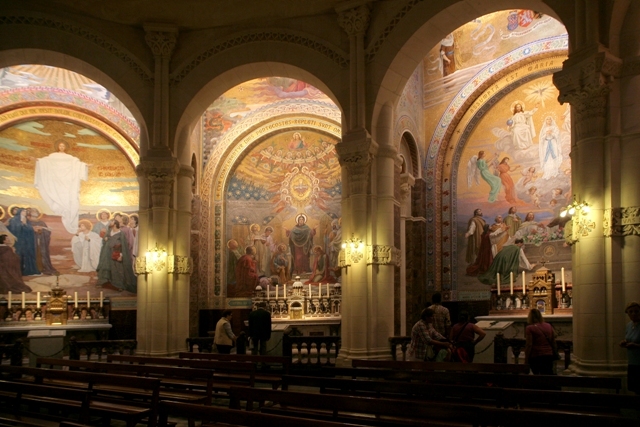 Closely linked to the vast architectural composition of the Sanctuaries of Lourdes. This is the element that is essential to its image with, in particular, the two large elliptical ramps embracing the square. Built in the Romano-Byzantine style, the Basilica of the Rosary, a huge Greek cross measuring 2 000 m2, was designed to be the pedestal of the Basilica of the IMMACULATE CONCEPTION, which stands above the Grotto.